As a result of plans to reshape healthcare, health savings accounts have re-emerged. Discover how an HSA works in this post. Click here! Are you unsure how an HSA works? If you are looking into it, you are probably trying to find out more about how to cut your expenses on medical bills. An HSA is a health saving account from which you can pay your bills directly instead of using health insurance. The problem with health insurance is that you never know the real price of the medical service. Instead, you just pay what the insurers tell you to. The purpose of a health saving account is to have more control over how much you pay for medical services. An HSA account is a tax-free account that will remain free over time even if you do not use it over the years. As long as you can prove that the money was used for qualified medical services, the money you get from the savings account will be spared from taxes too. However, if you are using the money for other expenses, you will have to pay 20% in taxes, which can be beneficial for certain tax brackets. By paying for medical services and medication that your health care does not cover, you have more control over your expenses. Additionally, you can even invest your HSA account in stocks and mutual funds. Just make sure to pass on companies that charge extraordinary fees or require a minimum balance. Who is eligible for an HSA account? To be able to save money from an HSA account, you need be part of HDHP (High Deductible Health Plan). This means that you are enrolled in a health insurance plan that has an annual deductible of minimum $1,300. However, the minimum for families is $2,600. There is also a maximum amount of money that you can put in an HSA account to discourage savings that are not related to medical expenses. The account is tax-free. You only pay 20% if you are using it for other expenses. Some groups might be using the HSA account to avoid higher taxes within their tax bracket. Like your 401(k) account, it is managed by professional groups. The HSA account works like a retirement account but for health savings. This means you can put in cash or other types of investments. This also means they will be some account management fees. 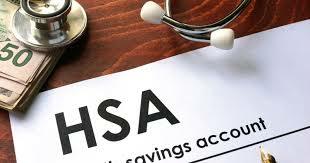 If you are looking to take more control over your medical expenses, and you are eligible for an HSA account, you should give HSA accounts a try. Just make sure you determine what you plan to do with your HSA account for before you decide how much to deposit in it. An HSA account works for individuals and families that are part of an HDHP insurance plan and want to save more money for medical expenses that are not covered by insurance. If you want to find out more about how you can save more money by making wise financial decisions, do not hesitate to take a look at our blog. We also offer a service that helps you find the most inexpensive financial products in your local area.